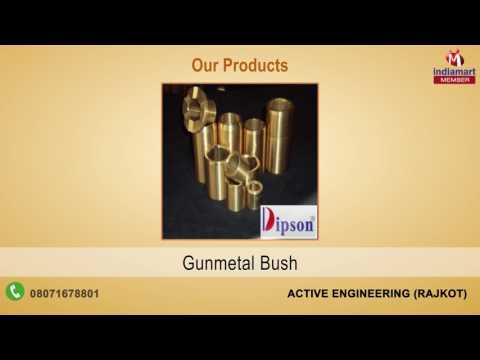 Established in the year 2009, we, Active Engineering, are a leading manufacturer and supplier of Bronze and Casting Bushing products. Our manufactured bushing components such as Bronze Bushing, Bronze Casting and Gunmetal Casting are highly appreciated by the clients, due to the hard and dense copper alloy composition. Our offered bronze bushing is widely known for the extra hardness and pressure bearing ability during high mechanical stress situations. We have always ensured that the bronze bushing can withstand high mechanical stress and rough handling. Further, our offered bronze casting is widely acclaimed for the hard configuration and high molecular strength.